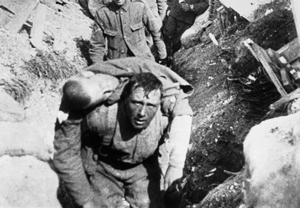 In 1916, during World War I at the horrendous Battle of the Somme in France, a German soldier wrote back to his parish priest, saying: “In my breast pocket I carry a picture of the Crucified. As Christ suffered, so must we. Like this soldier, we should not expect that Jesus will shield us from suffering; rather we should expect that our weakness can become the occasion for experiencing the power of Jesus.